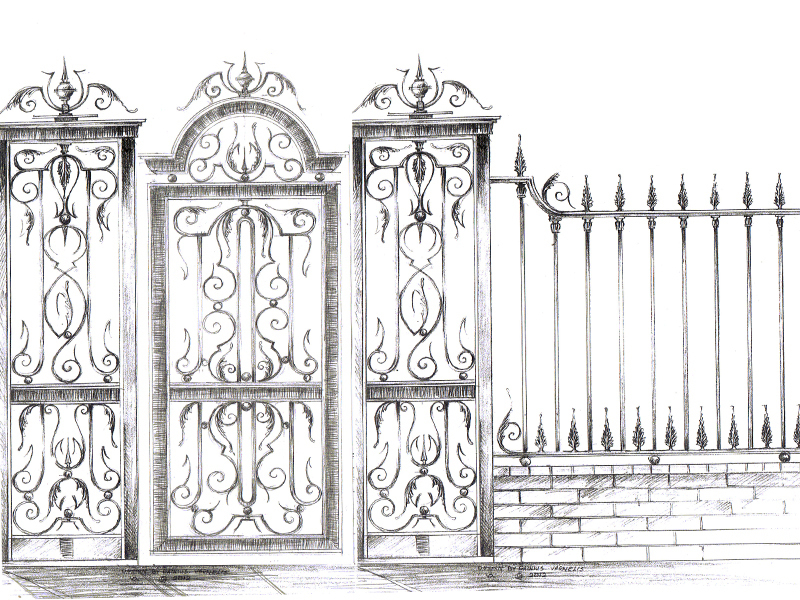 We have an impressive range of Electric Gates & associated Ironwork should you wish to visit our showrooms with many more designs to view within our Ironwork catalogues and website. 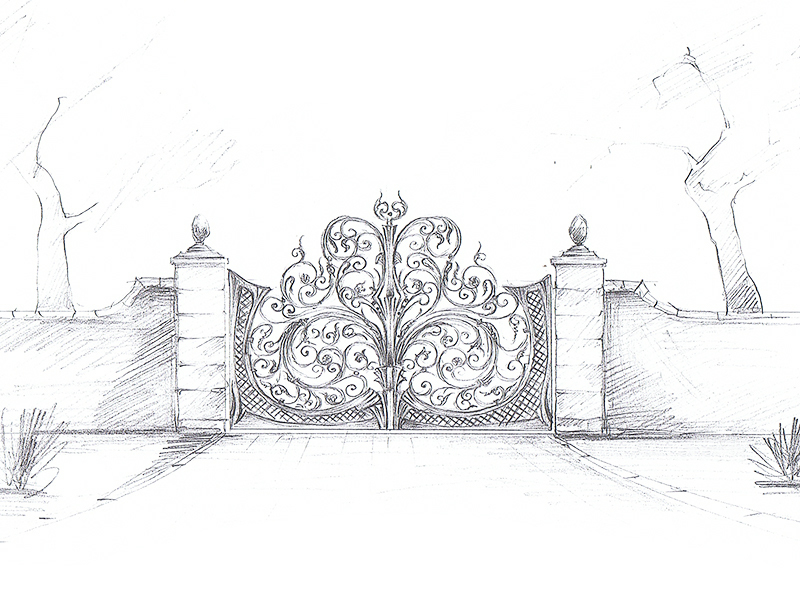 Whilst our designs are purely for inspiration, you may wish to leave them exactly the way they are or perhaps make some alterations to suit your own style. 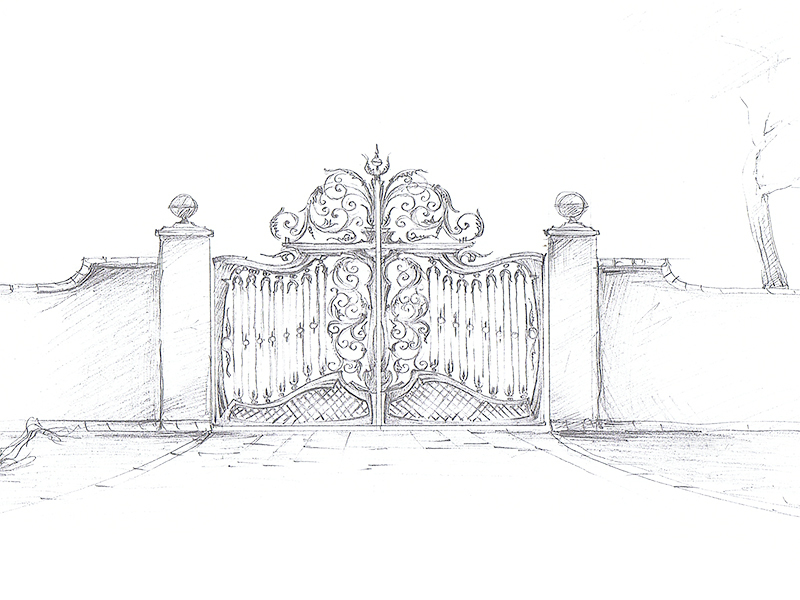 Since all of our gates are made to order, this is no problem. If you have an idea in mind already, we are happy to discuss your concepts too. 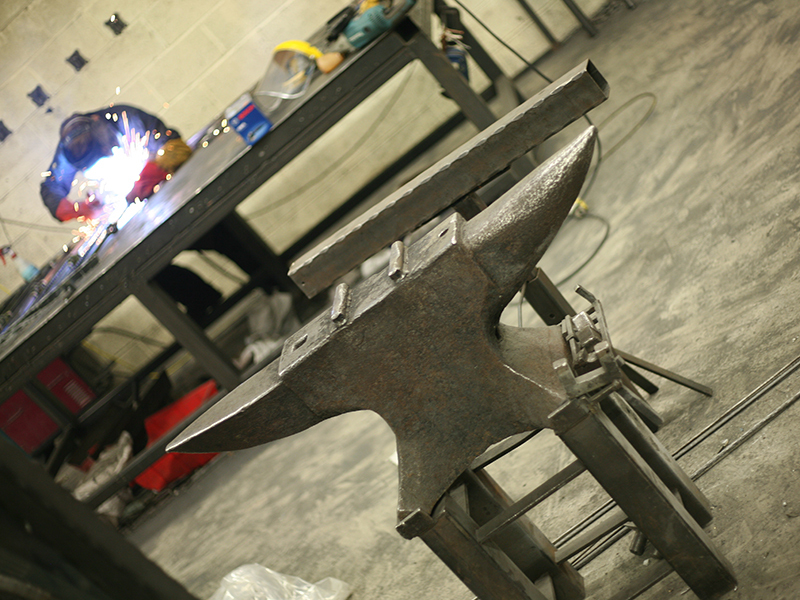 We can make just about anything and always welcome a challenge! 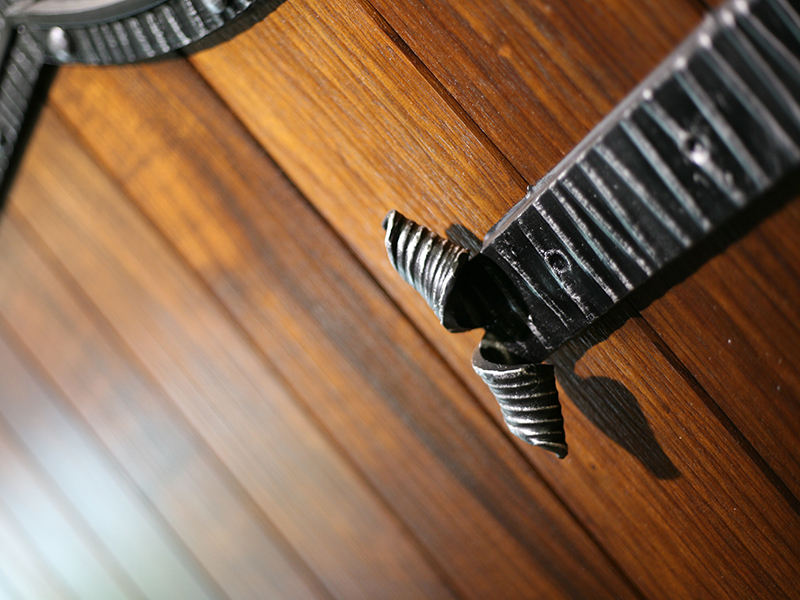 Once we have studied your requirements, we would visit your property to take all the necessary measurements & undertake a full site survey. This isn’t always the case though & dependant on distance we sometimes work from client dimensions & imagery. From a site meeting or from client imagery, we give expert advice on design, fixing methods & recommend how we would manage such a project. 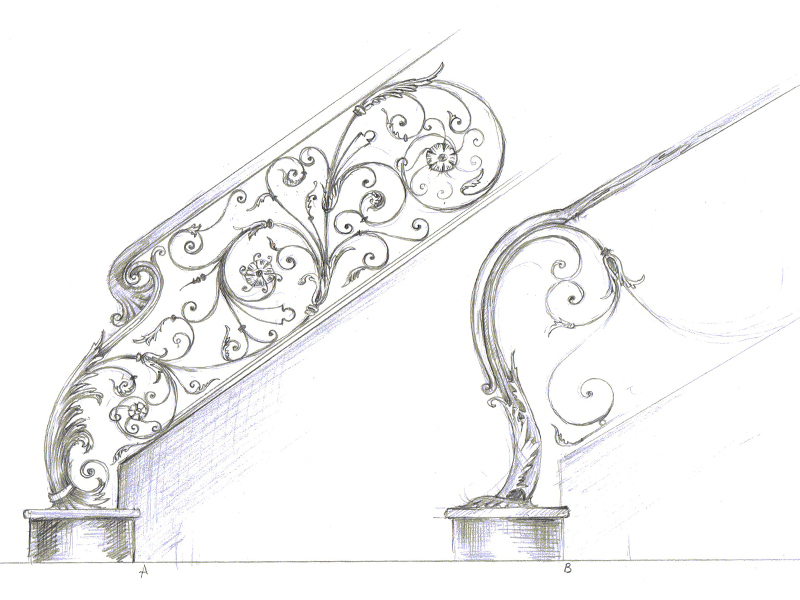 Following an official order & in receipt of a deposit, one of our experienced CAD engineers will produce Design Drawings for your approval. 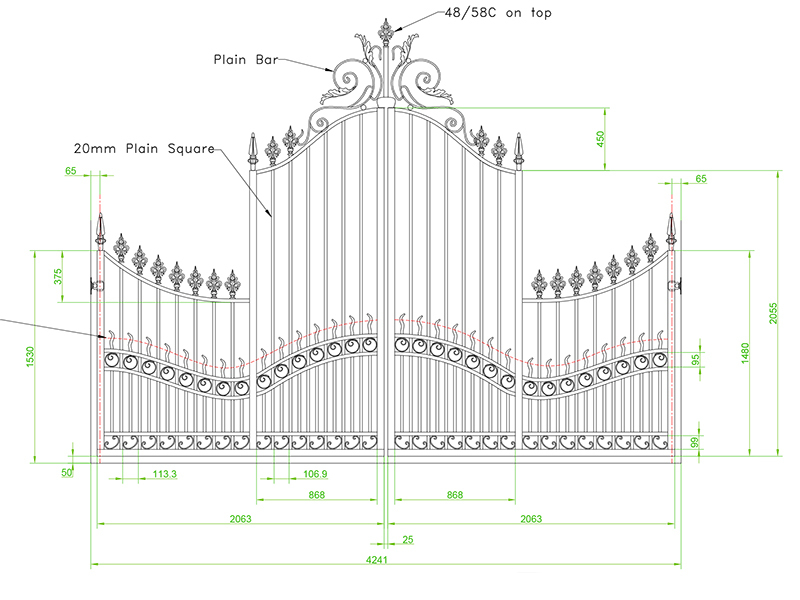 Using exact scaled dimensions, you will get a very good idea of how the finished design will look. 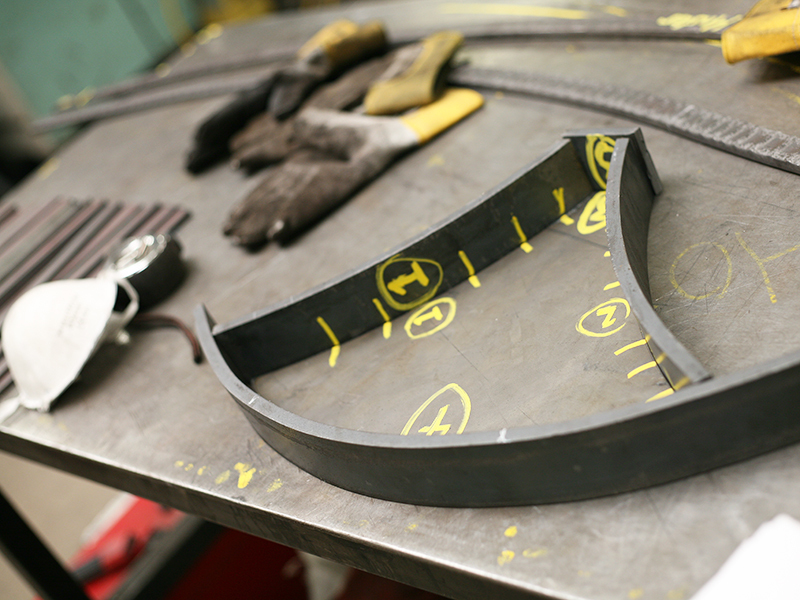 Once the drawings are approved these are sent to our fabrication department to be made. 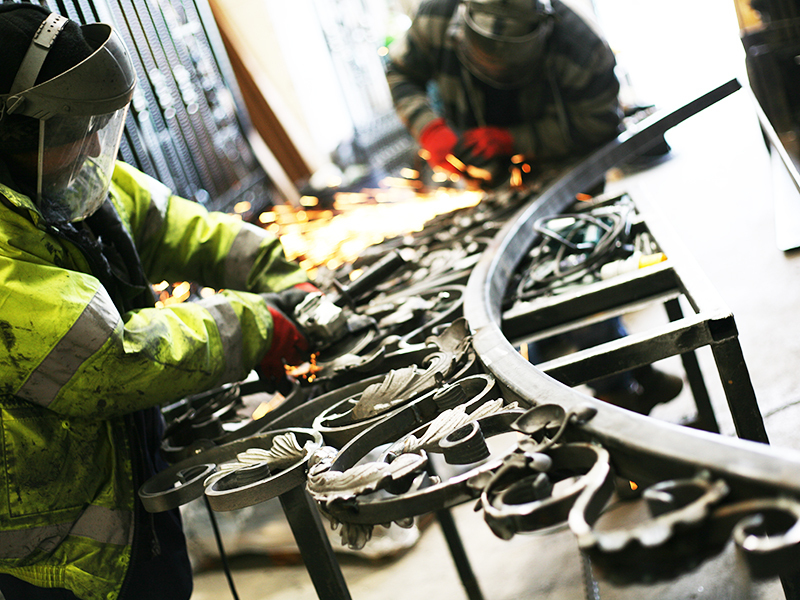 All of our ironwork is manufactured at our main Factory & Headquarters in Nelson, Lancashire using a combination of age old blacksmithing techniques and modern machinery. 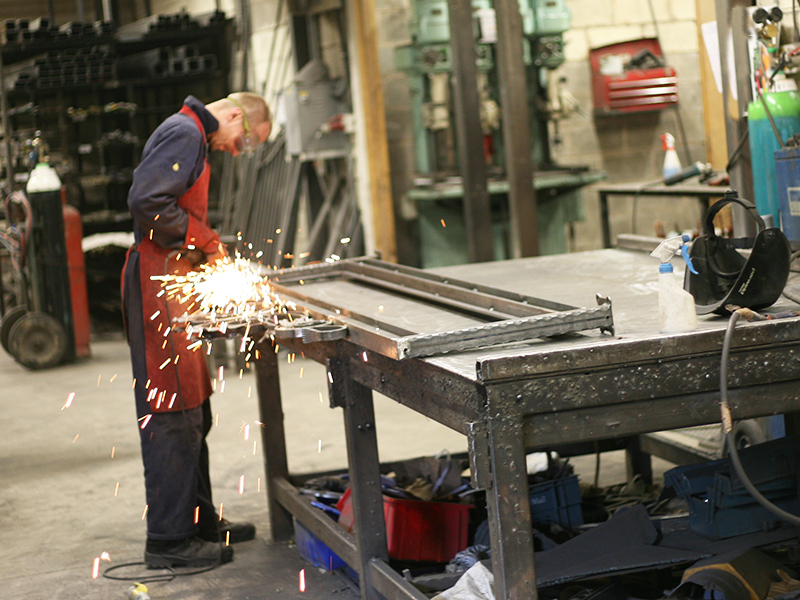 Our craftsmanship and attention to detail is evident in every aspect of our work and we ensure that our quality is always consistent. 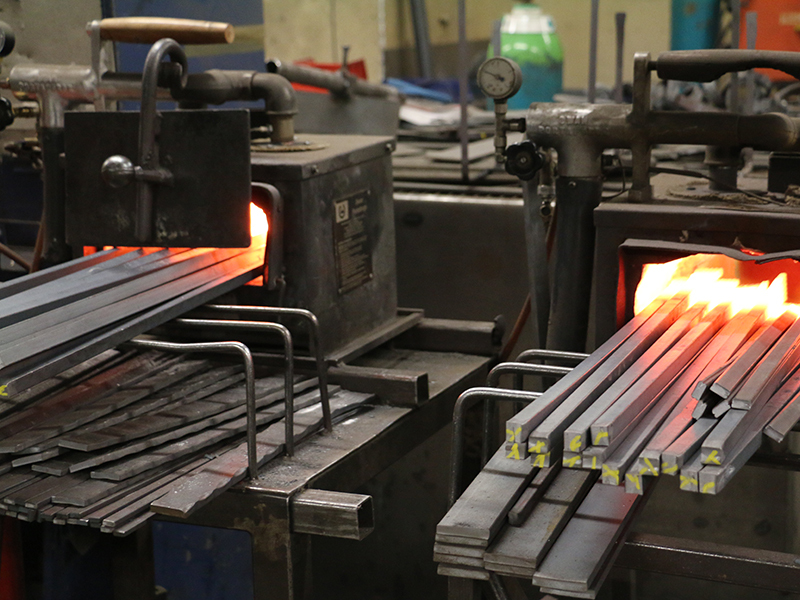 Hot-dipped galvanizing is a process of coating mild steel by immersing the fabricated product in a bath of molten zinc at a temperature of around 900 °F. 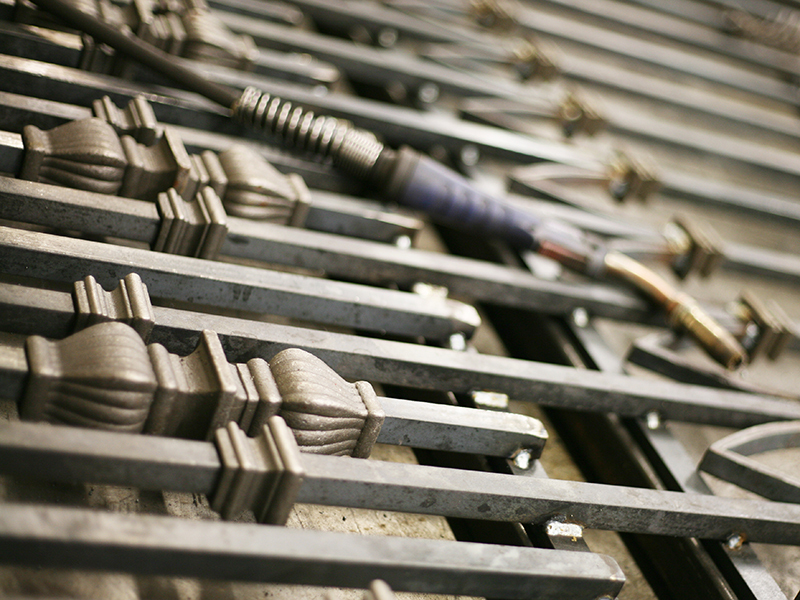 This involves chemically cleaning prior to dipping to remove any substrates & once completed, the zinc coating is fully bonded to the Ironwork. This guarantees the longest possible lifetime for anything metal affected by outside elements, such as rain, frost or snow, along with the least maintenance also. 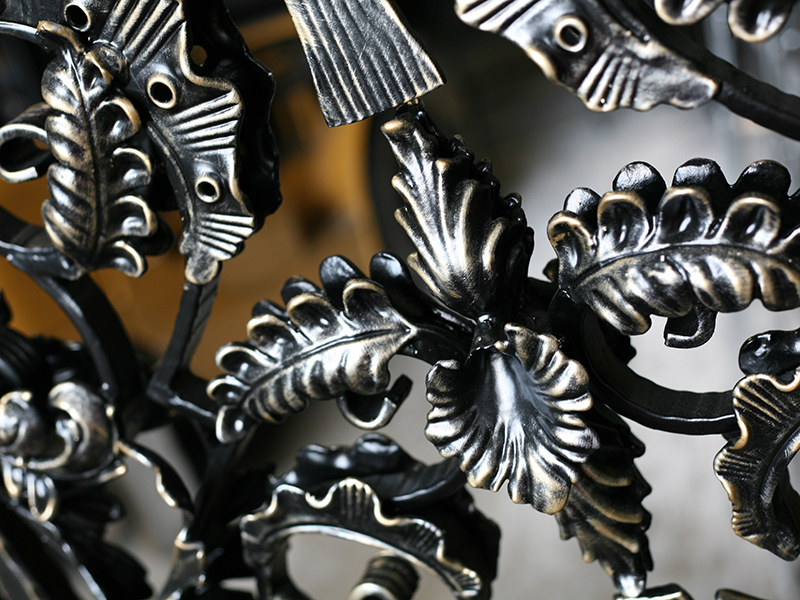 We paint all of our Ironwork using our own specially formulated High Build Vinyl Paint for a reliable long lasting finish. British Standard recommendations are 80 microns of film coating to protect against outside elements & we always increase this to 120 microns. 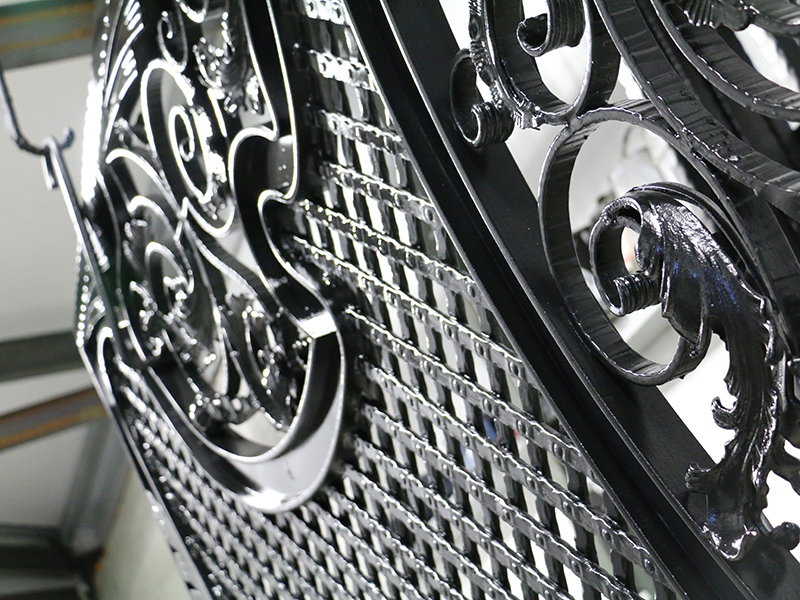 Everything is spray painted using our electrostatically charged paint process ensuring full “wraparound” coverage. This method ensures the smoothest and most even surface along with a soft sheen appearance. 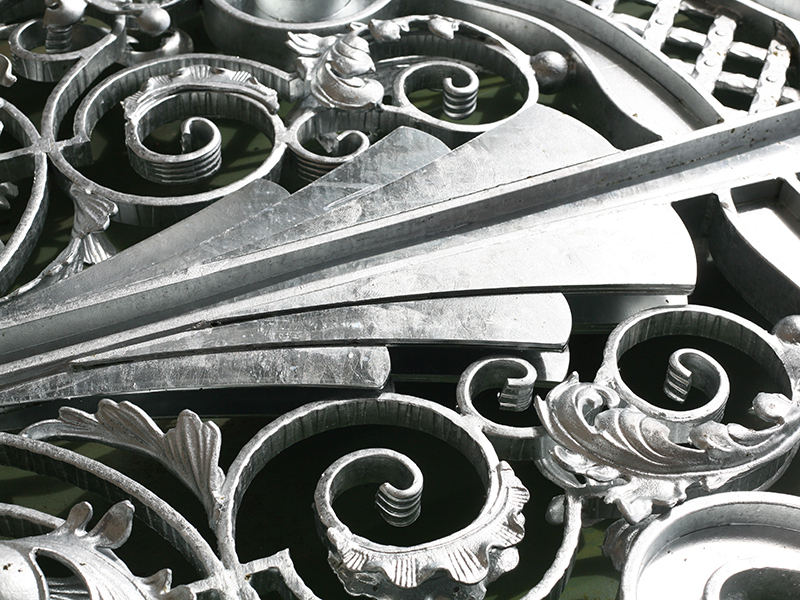 One of the main features of this finish is that it has elastic-type properties which allows the metalwork to expand & contract without cracking in extreme hot & cold temperatures, something that powder coating will not. 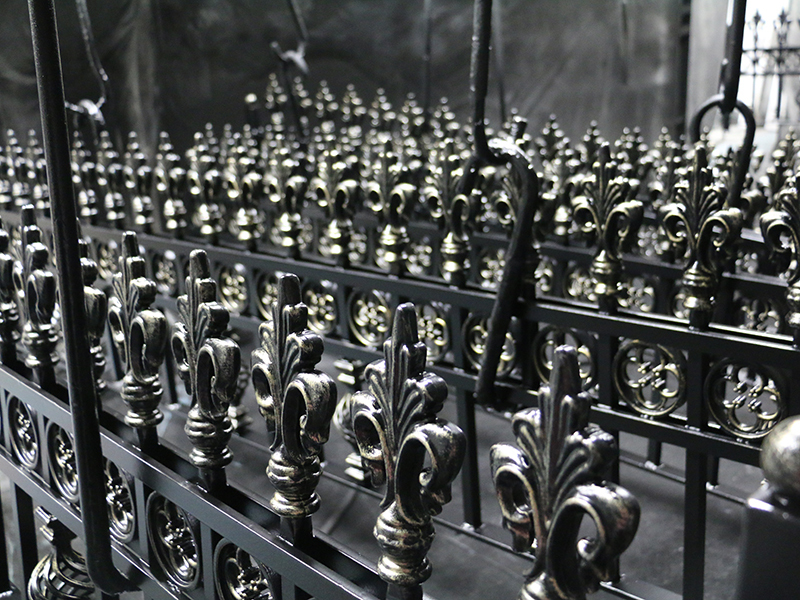 Our metal gates and railings can be given a variety of finishes after painting including patinas. 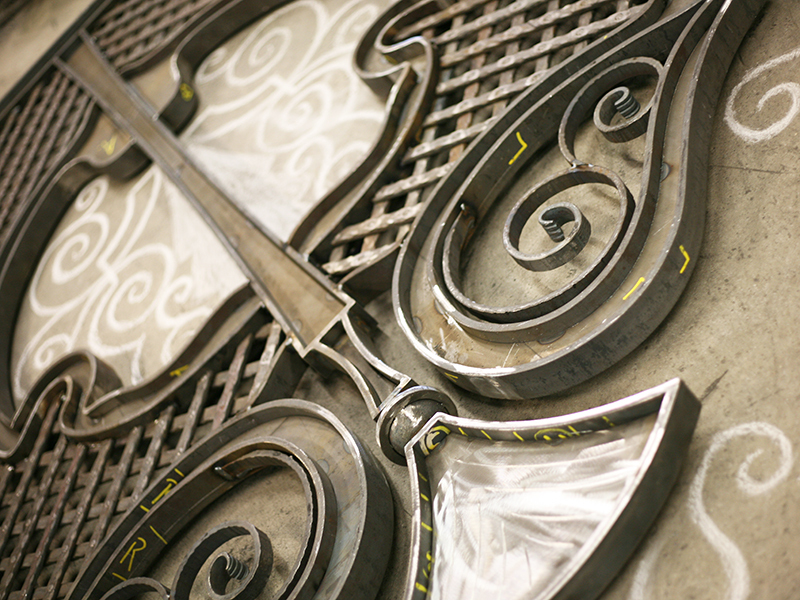 As standard we use gold, silver & bronze brushed very lightly over the contours to highlight the detail in the work, bringing the design to life. 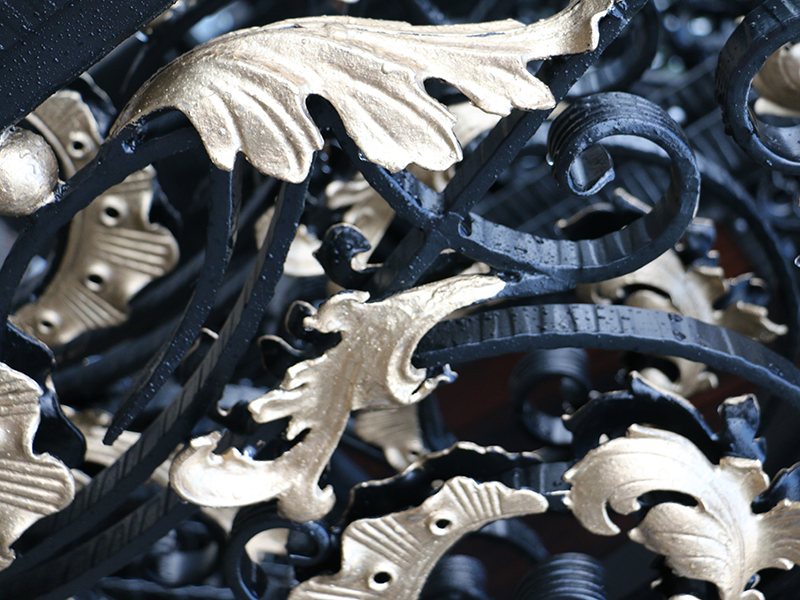 Alternatively, ironwork can be left with a plain painted finish or for the more extravagant option we have Everlasting Gold paint which certain details such as Railheads, Bushes, Cages etc. can be painted fully to give that Midas Touch. 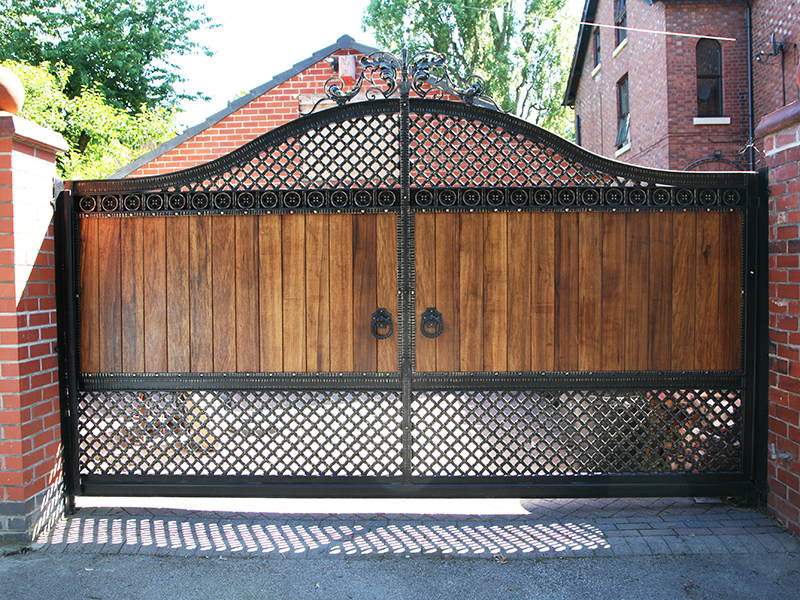 Our Hardwood gates are finished using UV protective coatings, which not only shield the wood from fading, but also enriches the natural grain and beauty, achieving a glossy sheen. 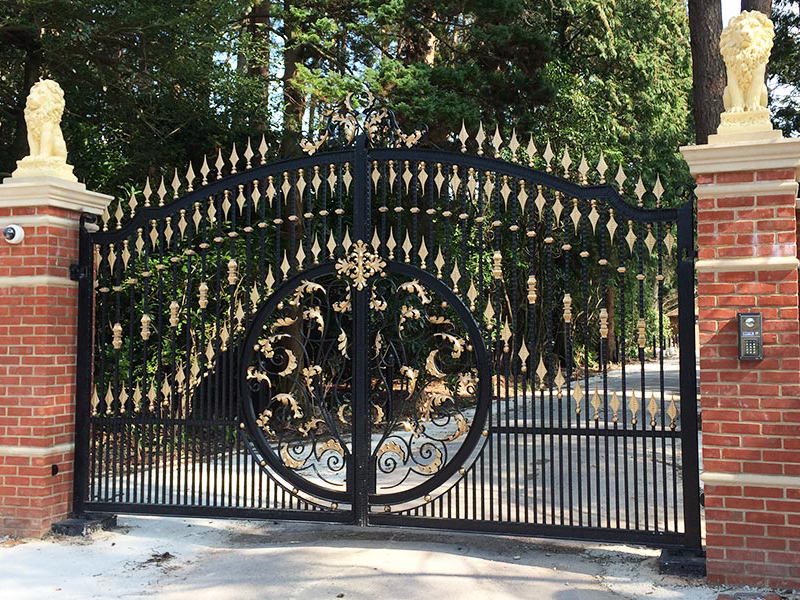 Dependent on what we’re installing for you, you may have the pleasure of our company on a couple of occasions – one visit for preparation work such as concrete pad construction for cantilever gates or columns and another for the actual installation. 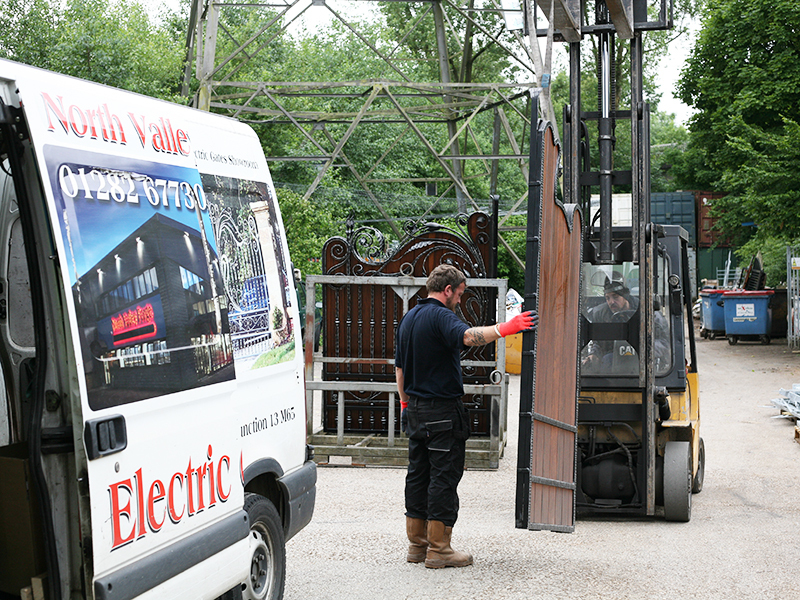 If you are having automation fitted to make your gates more practical and secure, we will send one of our electrical engineers out to you to complete all of the necessary works, to set up and demonstrate to you how everything operates. 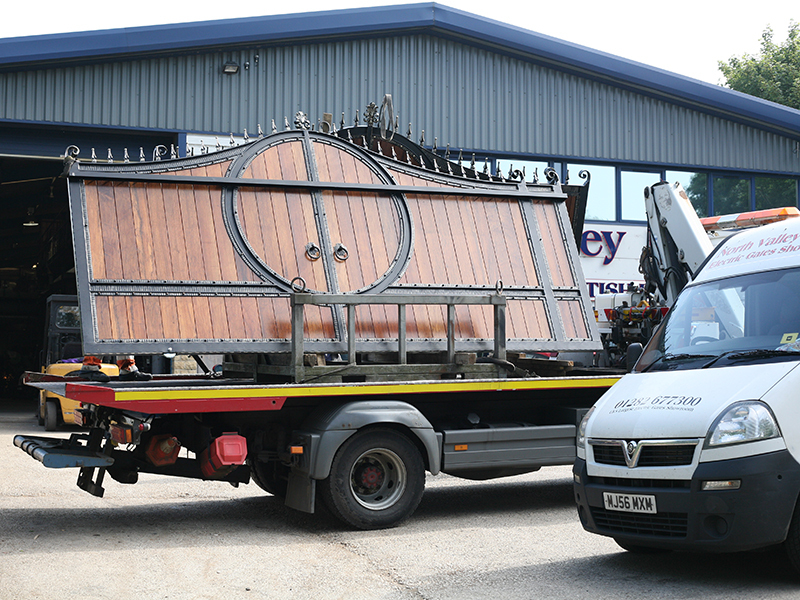 Our installers are respectful and will always leave a site the way they found it. 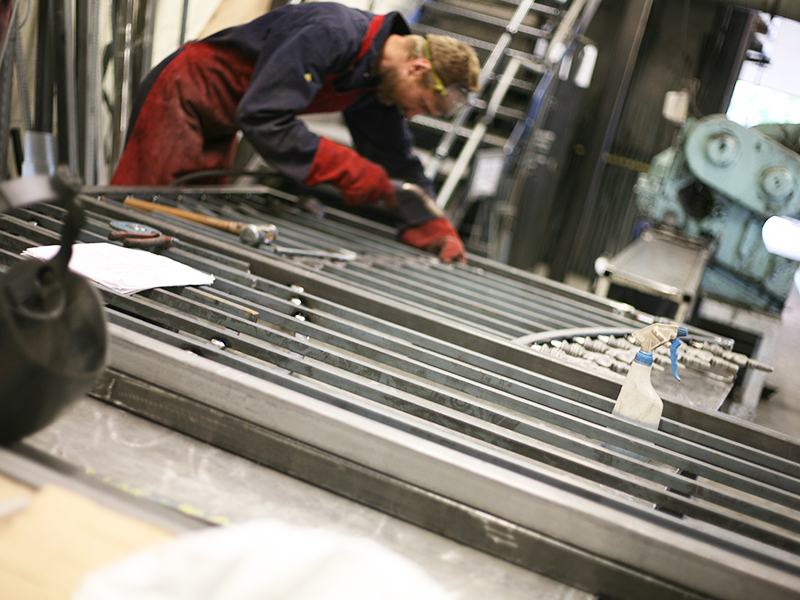 When installing automation a range of safety tests need to be carried out including force testing and CE marking before we leave site. 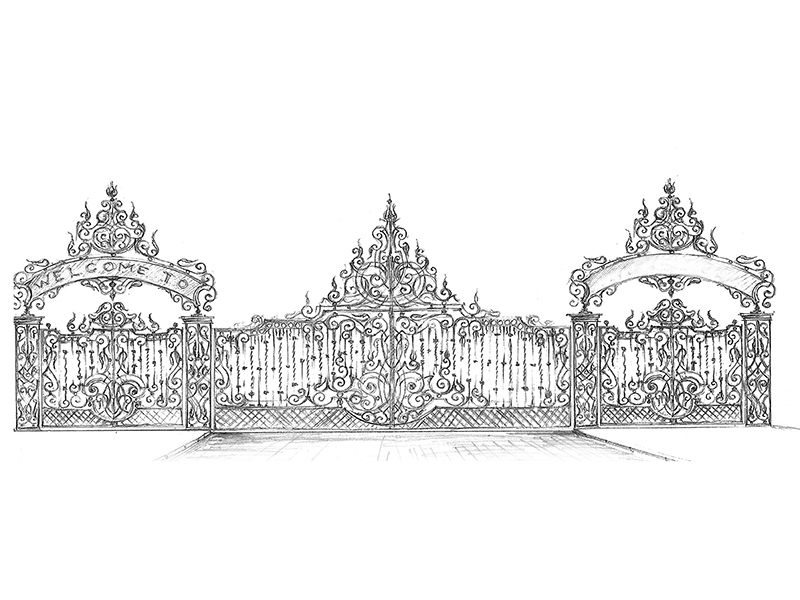 All of this will be explained to you when you place your order including information regarding the amount of safety edges and photocells you will need for your gate type. Rest assured that we only ever install automation systems that are safe and reliable as not only do we have over 30 years’ experience in this field, we are accredited members of Gate Safe and DHF. 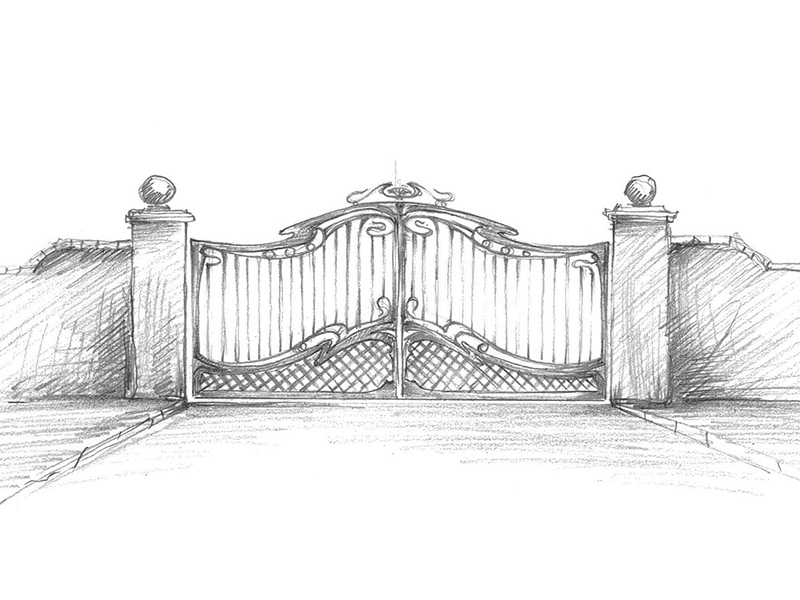 If you have chosen to have your gates automated; once all relevant safety tests have been carried out by the engineer you will receive a ‘Handover Pack’ including all site risk assessment information and documentation including the testing procedure. You also receive a 12 month parts and labour warranty from the completion date on installed automation and access control systems. 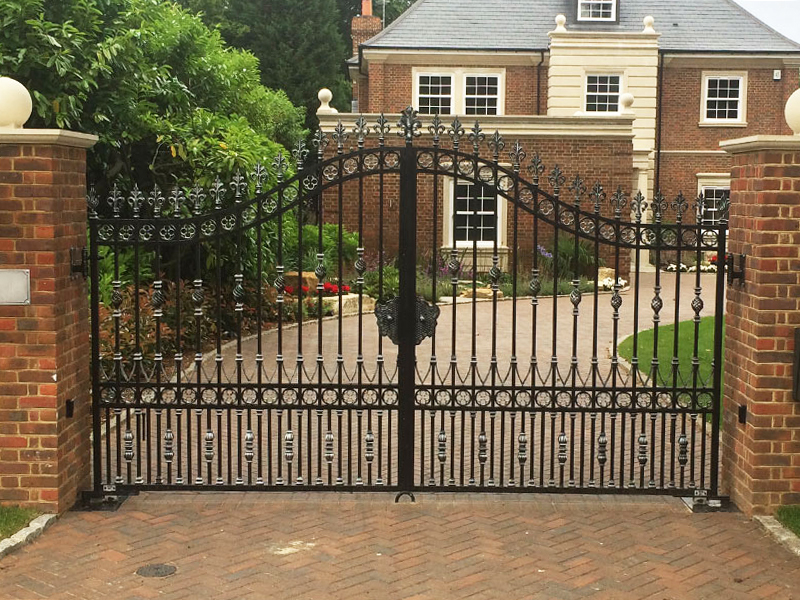 Servicing is optional although we do highly recommend that you have your gates serviced annually. We have both Gold & Silver service plans which can be explained to you.